Why is a Budget Essential to Financial Success? Budgets help to define financial limits. Why is a Budget Essential to Financial Success? Why is a budget essential to financial success? Boundaries are essential to keep anything in place. If you want to keep your finances under control then you must first define your financial limits. Entering your income and expenses on a worksheet is the simplest way to create your budget. There are even websites that offer these templates for free! These will include: housing costs, utilities, groceries. Your next categories will consist of essentials as well but these can vary in cost: pet care, personal hygiene, debts, internet, gas (auto). Secondly, you need to notate you income. The picture we are going to create will clearly show your income vs expenses. Lastly, there needs to be room for savings and emergencies in the budget as well as any goals you have set for yourself. If you put away a portion of your income each month this can be used towards goal such as an essential purchase, family vacation, retirement, wedding etc. Once you have your income and expenses clearly notated you can see if adjustments need to be made. If you find you are required to pay out more each month than you are earning consider cutting back on your expenses. Here are some tips to stretch your income. Change you internet to a slower speed, reduce your cable package or rid of it all together. Carpool to work or see if there is an option to take public transportation. Schedule less frequent haircuts for yourself, your children, and family pets. Update your thermostat to a programmable option to cut costs of heating and cooling when you’re not at home. Use a free email host (ie: email@gmail.com, email@yahoo.com) you’d be surprised the fee’s some hosts are still charging (ie: @earthlink.com)! A budget will only work if you stick with it. So once you set your spending boundaries and/or cut backs stick with them, it will pay off. Additionally, you can call PCS and one of our trained advisors will gladly review your budget in detail and can even offer suggestions on how to further manage your finances. Call PCS Debt Relief today at 636-209-4481. 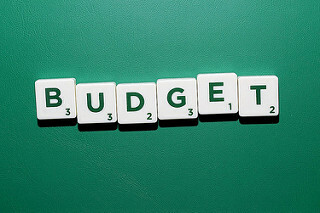 Below are some links to find free templates for creating your budget! Hard work and determination is all you need to make a budget work for you.